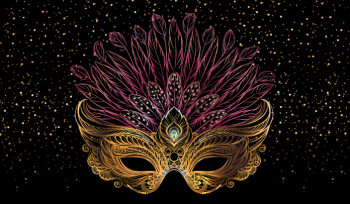 The University Area CDC is offering several promotion and sponsorship opportunities in conjunction with its 20th Anniversary A Masquerade Affair Gala presented by Florida Hospital Tampa, to be held Saturday, Nov. 3. The A Masquerade Affair Gala will feature fabulous cuisine, music, dancing and more. Funds raised from this event will benefit the University Area CDC’s neighborhood transformation strategy. “This year’s 20th anniversary gala will raise money for our efforts to transform the neighborhood, through affordable new homes that we’ll be building starting this year. We believe that by empowering residents to become agents of change, the community will not only grow, but economic and social conditions will also improve,” said Sarah Combs, executive director of University Area CDC. The A Masquerade Affair Gala will be held from 6 to 10 p.m. on Saturday, Nov. 3. Advance tickets are $75 per individual and $125 per couple. Sponsorship details, ticket purchases and more information are available by calling 813.558.5212 and by visiting www.uacdc.org.